Since 1924, Anabolic Laboratories has been producing pharmaceutical “made” nutritional products under strict regulatory control. Differentiating from pharmaceutical “grade,” pharmaceutical “made” products are manufactured in a federally regulated and inspected manufacturing facility under an exhaustive process that guarantees purity and potency. 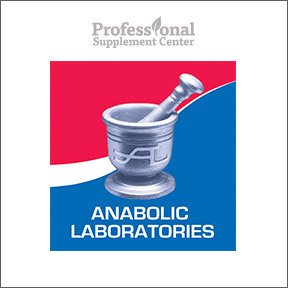 As a fourth generation family owned and operated business, Anabolic Laboratories remains committed to providing the highest quality nutritional products and continues to lead in the field of technological innovation and manufacturing excellence. Raw material vendors must meet specific supplier qualifications and all ingredients further undergo a rigorous testing process for identity, purity and potency. All products are placed in stability chambers to accurately assess shelf life, resulting in verified nutrient values and expiration dating based on scientific testing. Highly intensive processes ensure that all label claims are met and verified. All products are manufactured in their state-of-the-art facilities located in Colorado and California and are available exclusively through healthcare professionals. Essential Nutrition Pack – Conveniently packaged for those on the go, each daily nutrition pack contains a multivitamin and mineral complex, vitamin D3 as cholecalciferol, omega-3 essential fatty acids and magnesium chelate capsules. This formula provides antioxidant protection and supports key biochemical processes, reduced inflammation, cellular energy production and overall health. Probiotic Complete™ – A unique delivery technology protects the probiotics from stomach acid and ensures optimum delivery of fully biologically active beneficial bacteria to the upper and lower digestive tract where it restores and maintains healthy intestinal flora. No refrigeration necessary. One daily capsule delivers a minimum of 2 billion live organisms. Clinical Antioxidant Complex – This specialty antioxidant complex is formulated to provide multiple nutrients with anti-inflammatory and tissue healing properties, including vitamin C, green tea extract, quercetin, lutein, grape seed extract, alpha-lipoic acid and turmeric. Vegetarian capsules. Digestive Complete™– This herbal and plant-based formula contains 10 digestive enzymes to aid in the digestion of carbohydrates, fats, proteins, fibers, sugars and dairy products. Designed to reduce bloating and aid nutrient absorption. Vegetable capsule. This entry was posted in Home and tagged Clinical Antioxidant Complex, Digestive Complete, Essential Nutrition Pack, nabolic Laboratories, Probiotic Complete, Professional Supplement Center, Vitamins and supplements, www.professionalsupplementcenter.com. Bookmark the permalink.